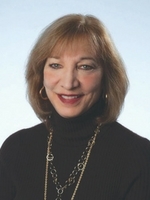 Margo Gottlieb, Ph.D., is Co-founder and Lead Developer for WIDA at the Wisconsin Center for Education Research, University of Wisconsin- Madison, having also served as Director, Assessment and Evaluation, for the Illinois Resource Center. She has contributed to the crafting of language proficiency/ development standards for American Samoa, Guam, TESOL, and WIDA and has designed assessments, curricular frameworks, and instructional assessment systems for language learners. Her professional experiences span from being an inner city language teacher to working with thousands of educators across states, school districts, publishing companies, governments, universities, and educational organizations. Highlights of Margo’s career include being a Fulbright Senior Specialist in Chile and being appointed to the U.S. Department of Education’s Inaugural National Technical Advisory Council. In 2016 Margo was honored by TESOL International Association's 50@50 “as an individual who has made a significant contribution to the TESOL profession within the past 50 years.” She has had opportunities to travel extensively and has presented in American Samoa, Argentina, Brazil, Canada, Chile, China, the Commonwealth of the Northern Mariana Islands, Denmark, Finland, Guam, Italy, Jakarta, Mexico, Panama, Singapore, South Korea, Taiwan, United Arab Emirates, the United Kingdom as well as close to home across the United States. Margo's publications include over 70 articles, technical reports, monographs, chapters, and encyclopedia entries. Additionally she has authored, co-authored, and co-edited 11 books this past decade: Assessing English Language Learners: Bridges to Educational Equity (2nd Ed., 2016), Academic Language in Diverse Classrooms: Definitions and Contexts (with G. Ernst-Slavit, 2014), a foundational book for the series Promoting Content and Language Learning (a compendium of three mathematics and three English language arts volumes co-edited with G. Ernst-Slavit, 2014, 2013), Common Language Assessment for English Learners (2012), Paper to Practice: Using the TESOL's English Language Proficiency Standards in PreK-12 Classrooms (with A. Katz & G. Ernst-Slavit, 2009); and Assessment and Accountability in Language Education Programs: A Guide for Administrators and Teachers (with D. Nguyen, 2007).